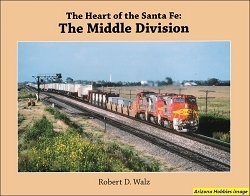 This book brings to print the late Robert Pounds' work on the Gulf Lines depots. 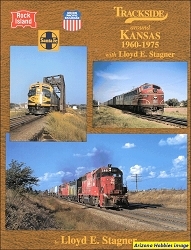 Published in the same style as his Western Lines Depots book of 1984, it includes sections on Station Name Sources, a basic history of 'The GC,' Depot Construction and Evolution, Depot Operations and Services, and is then broken into chapters on the Main Line, covering the 1st District of the Galveston Division, 1st and 2nd Districts of the Southern Division, and 1st and 2nd Districts of the Northern Division. The Galveston Division sections covers the Galveston Terminal, Houston, Matagorda, Garwood, Bonus, Hall and Nash Dome Districts and the Texas City Terminal Railway Co. The Southern Division section covers the Lampasas, Sweetwater, San Saba, San Angelo, Paint Rock, Sterling City, Dublin, Menard, and Waco Districts. The Beaumont Division section covers the Somerville, Conroe, San Augustine, Longview, Port Bolivar, Silsbee, Saratoga, Grigsby, Oakdale and Ore City Districts. The Northern Division section covers the Pauls Valley, Dallas, Paris, Sherman, Honey Grove, Weatherford, Cresson, Ringling, Sulphur, Lindsay and Ada Districts. Notes, Bibliography, Index, pp. 235-240. 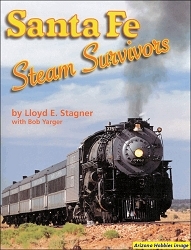 Santa Fe Railway Historical & MS, hardcover with jacket, 256 pages, 8.5 x 11 x 1 in., 369 photographs (26 in color), 41 diagrams, 6 maps, Notes, Bibliography and Index.